Pumpkin Fine Cars has a RARE, EXTREMELY LOW MILEAGE 2000 Mercedes Benz C280, 4-Door Sedan. This pre-owned Gem is in impecable condition and is a CARFAX CERTIFIED ONE OWNER vehicle. 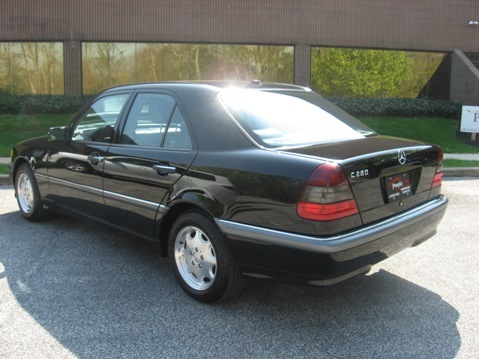 With ONLY 44k ORIGINAL MILES and a CLEAN TITLE HISTORY, you won't find another Benz like this one anywhere around! This UNIQUE FIND with it's BLACK ON GRAY color combo is a GREAT VALUE, equipped with a V6, 2.8 liter engine, Automatic transmission and RWD. For ONLY $10,495 you can own this FULLY SERVICED, PUMPKIN CERTIFIED Benz with a 2 Month Powertrain Warranty. Luxury options include CD Player, Dual Power Seats, Power Moon Roof, Alloy Wheels, Leather Interior and more! Visit us at our INDOOR SHOWROOM and test drive this pristine car today. CONTACT US at (609) 646-7676 or send us an email at [email protected]. 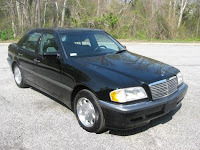 For more information or to view a complete listing of our pre-owned vehicles, log onto our website at http://www.pumpkincars.com/.